The Mullaperiyar Dam has reached its full level of 142 feet and Kerala Government wanted the water level to be at 139 feet. 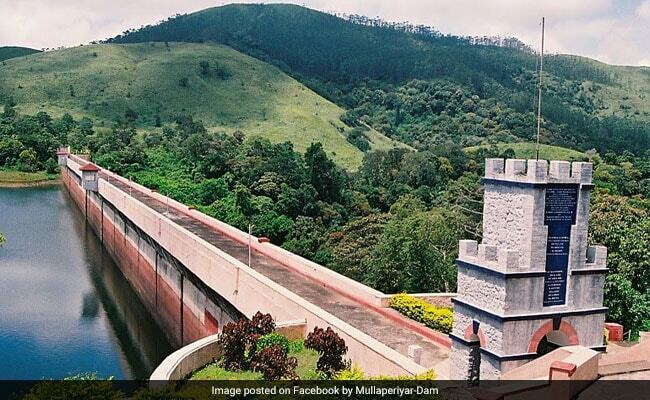 No threat to safety of Mullaperiyar dam, wrote Tamil Nadu Chief Minsiter To Pinarayi Vijayan. Tamil Nadu Chief Minister Edappadi K Palaniswami has written to Kerala Chief Minister Pinarayi Vijayan assuring that there was no threat to the safety of the Mullaperiyar Dam. In his letter to Mr Vijayan, the Tamil Nadu Chief Minister further said that the water in the dam was being stored at the permitted level of 142 feet as per the orders issued by the Supreme Court. "I would like to state that the Mullaperiyar Dam is in safe in all aspects hydrologically, seismically and structurally as per the Supreme Court order on May 7, 2014. During the past, the dam was inspected by many experts, on several occasions, and they had also found that the dam was safe in all aspects," Mr Palaniswami wrote. Mr Palaniswami's comments came few days after Mr Vijayan had sought the Tamil Nadu government's intervention to draw water from the brimming dam. The Mullaperiyar Dam has reached its full level of 142 feet and Kerala Government wanted the water level to be at 139 feet. Mr Palaniswami also informed in the letter that periodical inspection of the Supreme Court-appointed supervisory committee had taken place, pointing out that the last inspection was on August 4. He added that the committee has found that it is safe to store water up to 142 feet. "Therefore, there is no threat to the safety of the dam and water is being stored at the permitted level of 142 feet as per the orders of the Supreme Court," Mr Palaniswami said. Mr Palaniswami also claimed that the "Kerala officials were not permitting their Tamil Nadu counterparts to gauge the rainfall in the catchment area." The Tamil Nadu Chief Minister also informed that they are in constant touch with Kerala State Electricity Board for restoring the power supply to the dam. The state has deposited Rs 1.65 crore with the Kerala Electricity Board to restore power supply. Mullaperiyar Dam is one of the dams in Kerala, whose shutters have been opened, to release excess water, following the heavy downpour in the state. The dam is although located in Kerala, it is operated by Tamil Nadu. Kerala had said the dam was dangerous, but the Tamil Nadu had always opposed this. This has always been a contentious issue between the two states. The number of death cases in Kerala floods has increased to 94.